4/2/19 : Bodmin Jail is a Grade II listed building, one of Cornwall’s top tourist attractions and reputedly one of Britain’s most haunted buildings. The Jail scenes in the first series of BBC’s ‘Poldark’ were filmed here. It was originally built in 1779 and is steeped in both social and architectural history. The jail was decommissioned in 1929 and left to fall into ruin and decay. In the ’60s it was transformed, in small part, to a club venue and then into a museum offering a unique insight into Cornish penal life over the centuries. 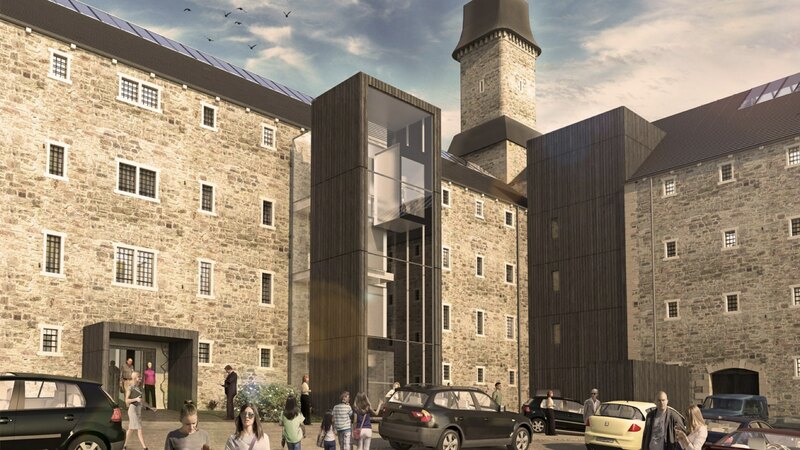 The whole site is being transformed into a state-of-the-art attraction, to include a new build Dark Walk visitor centre and the restoration and refurbishment of the 18th Century Jail into a 4 star boutique hotel including all ancillary and associated attraction and museum facilities. TClarke is carrying out the full MEP package, having worked alongside Arup and PinCM for several months to develop the design. In such an old building, the control of moisture and creation of an environment that guests to a first class hotel would expect, presents a series of engineering challenges.